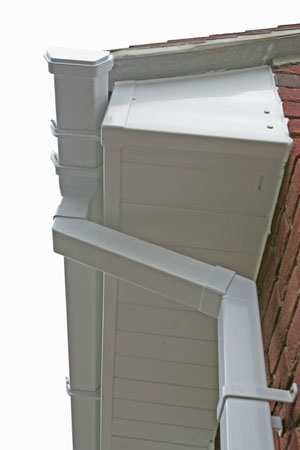 Roofline is an area which is often over looked when thinking about house renovation but it really does add that finishing touch to a home, whilst providing a total low maintenance solution that requires no annual painting. 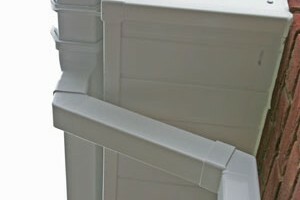 Available in a number of finishes, including White, Antique, Oak, Mahogany and Rosewood, it’s easy to find a style that will match your existing or new PVC-U Windows, Doors and Conservatory. 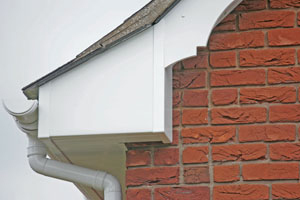 Unlike many other installation companies, we remove all old Fascia and Bargeboards and check the condition of rafter feet, gable ends and cement verges for a total fit and forget solution. And because UPVC is Colourfast it’ll stay looking as good as new year after year and you’ll never have to repaint or stain again! Any rotten rafters or gable ends will be cut out and replaced before being covered over with new UPVC and we will take the time to replace the felt to the first tile batten for UPVC as existing felt can rot where its been exposed for years. 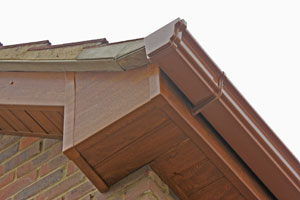 Just like our PVCU Windows, Doors and Conservatories, all our Roofline products are fully guaranteed for ten years for total peace of mind.